All the work has been done time to enjoy the Florida lifestyle! This custom Rutenberg home checks all the "boxes acre lot, perfectly updated, modern/clean interiors, open floor plan, A-rated schools, and beautiful lake, golf course and wildlife vistas. Designed to highlight the water views and create a sense of spaciousness - this 4,000 sf home lives large with aquarium windows, streaming sunlight, 12 ft ceilings, new travertine floors and disappearing sliders. Youll be the envy of the neighborhood with the modern kitchens 18 ft island, stainless appliances, vaulted ceilings and stone counters. A 4-bedroom split plan offers privacy while the den/study, dining and formal rooms can be customized spots to gather together. The master retreat offers a sitting area, his/her walk-in closets and a newly updated bath with free-standing tub, river rock walk-in shower and dual sinks. A rare find, the outdoor living space is truly vast with a modern pool and spa, deck and outdoor kitchen area overlooking outstanding views and daily nature sightings. 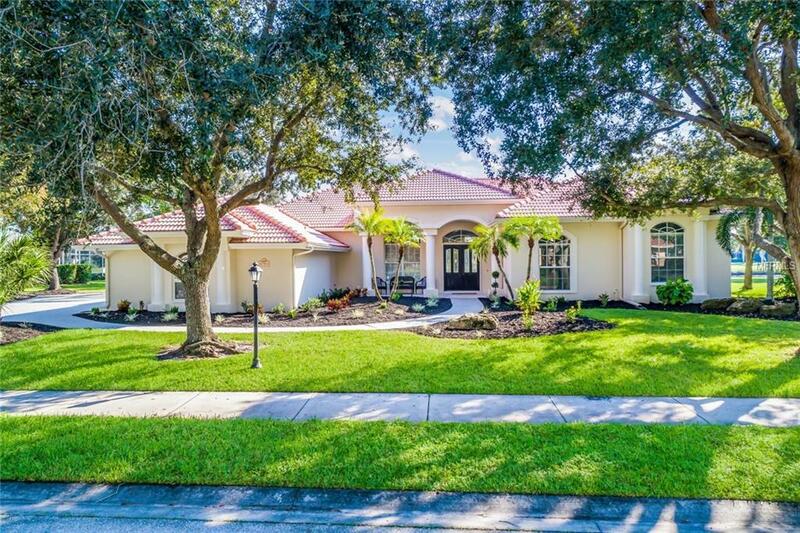 Gated community, 8 miles to Siesta Beach, 3-car garage with additional parking, mature landscaping, 2018 AC, theatre equipment, fresh paint, pool renovation, optional Serenoa golf and no CDDs/low HOAs make this a best buy!